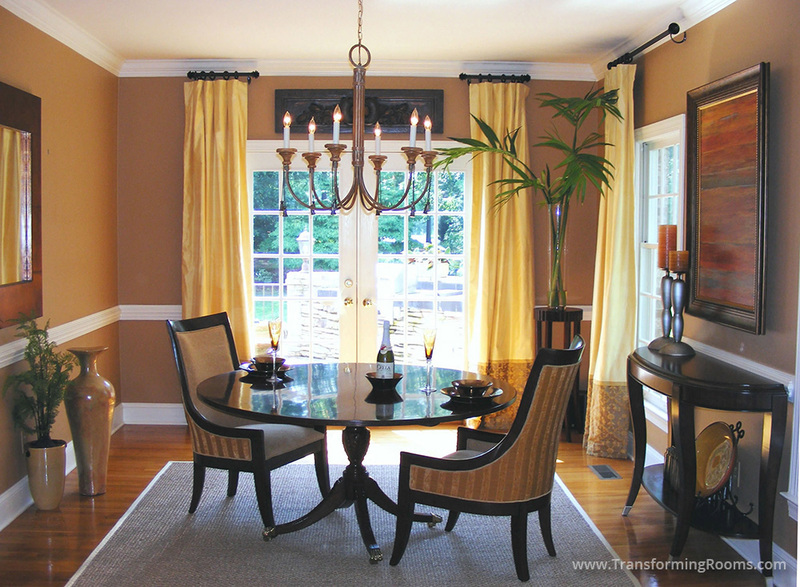 French doors make this dining room brighter and more inviting. This makeover was a quick transformation, with big impact. The french doors also provide convenient access to a patio, which we extended along the back of the home. 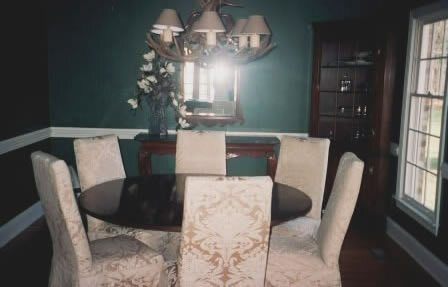 Notice the new chandelier, custom drapes, and art. This now feels like a completely different room!